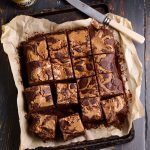 Wickedly moist and chocolatey vegan brownies are swirled with a generous helping of almond butter to give them a delicious twist you won’t be able to resist. 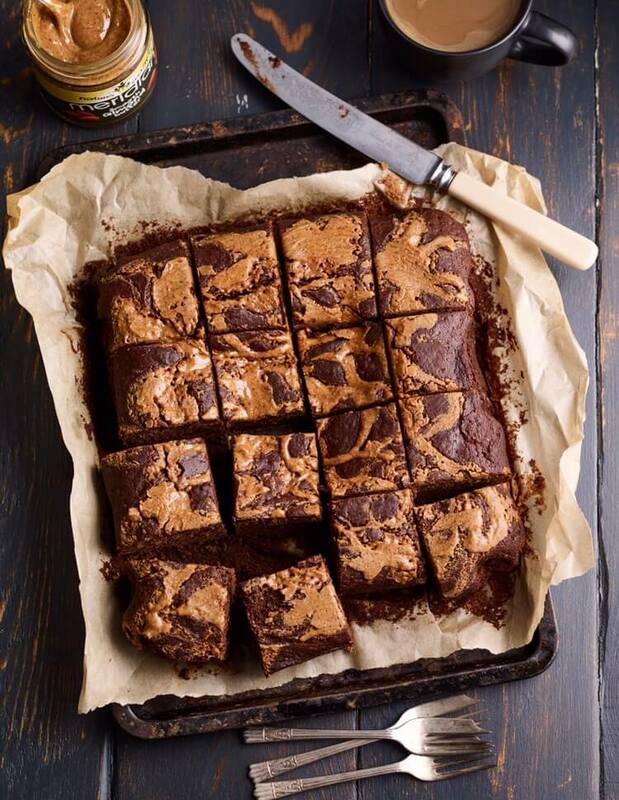 Wickedly moist and chocolatey vegan brownies are swirled with a generous helping of almond butter to give them a delicious twist you won't be able to resist. Pour 150ml warm water over the ground flax seed, stir and set aside. Heat the oven to 180C/160C fan and line a 20cm x 20cm oven dish with greaseproof paper. In a bowl combine the flour, salt, cocoa and sugar. Add the almond milk, coconut oil and flaxseed mixture. Mix well and pour into the prepared tin. Drizzle the almond butter over the top of the brownie and use the tip of a knife or a skewer to swirl into a pattern. Bake for 20-25 minutes until the top is firm but the inside is still squidgy. Leave to cool in the tin for 10 minutes then use the greaseproof paper to lift onto a cooling rack. When cool, cut into 16 pieces and serve or keep in an airtight tin. The trick to getting a squidgy brownie is to take it out of the oven just before you think it’s cooked. The top should be firm but it should still have a very slight wobble in the center.